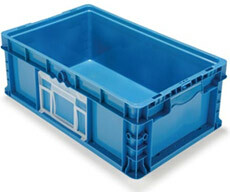 Hand held Plastic Totes from Plastic Pallet & Container are made from injection molded plastic, which ensures that each product is durable and versatile. This means that the bins will last longer and that you can use them as complete solutions to your storage problems, be it at the workplace, in the garage and in the home. 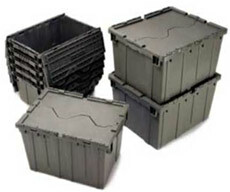 Plastic Pallet & Container offers totes in a variety of sizes an models including, Attached Lid Nestable Totes, Collapsible Totes, Straight Wall Totes. Also searchable by AIAG Sizes 1207, 1215, 2415, and 2422 .